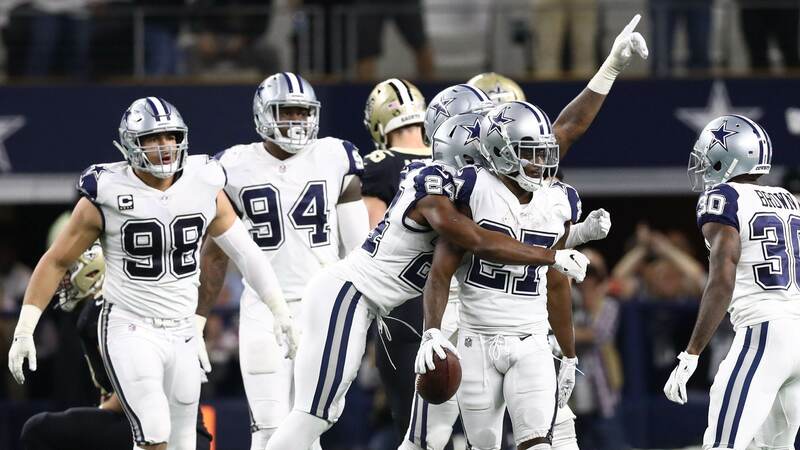 The Dallas Cowboys can't be more pleased with the way things turned out Thursday night against the New Orleans Saints. It took a team effort to secure the victory, but there were a few individuals who stepped up to the challenge more than others. One of those individuals just so happened to be Cornerback Jourdan Lewis, who has been seldomly used this season. A few days prior to the matchup between the Cowboys and the Saints I wrote about how Jourdan Lewis could end up playing a big role. It was complete speculation on my part, but boy did he make me look like a genius. I thought Jourdan Lewis gave the Cowboys their best chance at containing Running Back Alvin Kamara when the Saints try to get him into the open field, where he is at his most dangerous. Despite how well the Cowboys linebackers have played this season, I didn't like the idea of them trying to cover Kamara in the open field. I just thought Lewis matched up better, and as it turns out I wasn't the only one. I've been a pretty big fan of Lewis' since he arrived in Dallas. I love his "won't back down" attitude and I think it's something that has endeared him to a lot of Cowboys fans. I really thought that attitude would serve him well against Kamara, plus his ability to cover and tackle in open space. To say that Jourdan Lewis made his presence felt against the Saints would be an understatement. You may be surprised to learn this, but he only played a total of eight defensive snaps Thursday night and finished the game with five tackles and an interception. An interception by the way that pretty much sealed the victory for the Cowboys. Surprisingly though, it could have been even better. You may have forgotten, but he also had a near interception earlier in the game while covering Kamara. That's a pretty big impact considering he only played eight defensive snaps. EIGHT! Despite how impressive he played though, I don't know if it will equate in more playing time moving forward. His eight defensive snaps equals out to 15.4% of the total snaps played by the Cowboys defense. Before the Saints game he only played 14.20% of the defensive snaps this season, which isn't that much of a difference. I personally have a hard time seeing anything change in the Cowboy secondary anytime soon if everybody remains healthy (knocks on wood). Jourdan Lewis will probably once again be relegated to backup/spot duty, which speaks to the volume of the Cowboys level of play on the backend of their defense. But, that probably doesn't make #27 feel any better. You can call it dumb luck if you want, but I just had a feeling Jourdan Lewis would end up being an important piece this week against the Saints. Each and every week is a chess match, Lewis just happened to be the piece that helped the Cowboys claim checkmate this week. How impressed were you with Jourdan Lewis against the Saints?